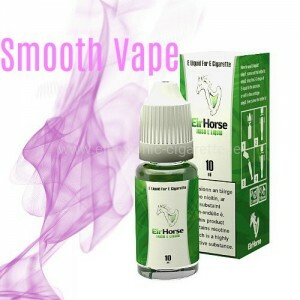 Buy a 5 pack of genuine EirHorse dual coils heads for use with e cig Platinum clearomizers. Coils are available 1.8 ohms resistance. The EirHorse Clearomizer Platinum Plus is the new upgraded version of EirHorse Platinum. The upgraded product offers a shorter glass drip tip for a more stylish and more optimal way of vaping featuring an adjustable airflow control valve, replaceable bottom dual coils. The adjustable airflow control system on the E cigaretteTank allows you to dictate how tight or loose the draw is. Simply turn the base of the tank to find your ideal vaping setting. 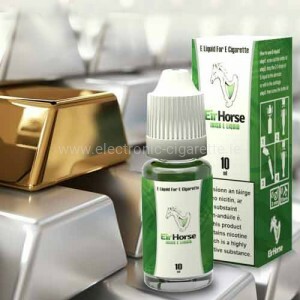 The EirHorse Clearomizer Platinum Plus comes complete with a 1.8 ohm coil and further replacements are sold separately in packs of 5. 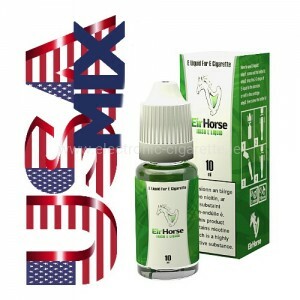 EirHorse Platinum it is user friendly and very simple to use. Fully adjustable airflow, which in will allow you to enjoy larger vapor puffs with more flavor. The airflow control base can be locked as this will prevent the airflow to be adjusted freely. It is built for pleasure and performance of the highest standard. EirHorse products are renowned for their high quality. If you're a die-hard E-Cig fan ? Select EirHorse Platinum , which now is selling models for less than €30. Our advice? Opt for EirHorse Platinum. Vape Shop - Dublin - Cork- Kilkenny- Limerick - Ireland. Perfect Platinum E Cig Starter Kit. Whether you're looking for the perfect starter kit ? Just found it !!!! 1 x Clearomizer Platinum 1 x Battery 1100mAh 1 x USB Charger , 1 x Coil Head, 1 x E Liquid. Best price, best quality.